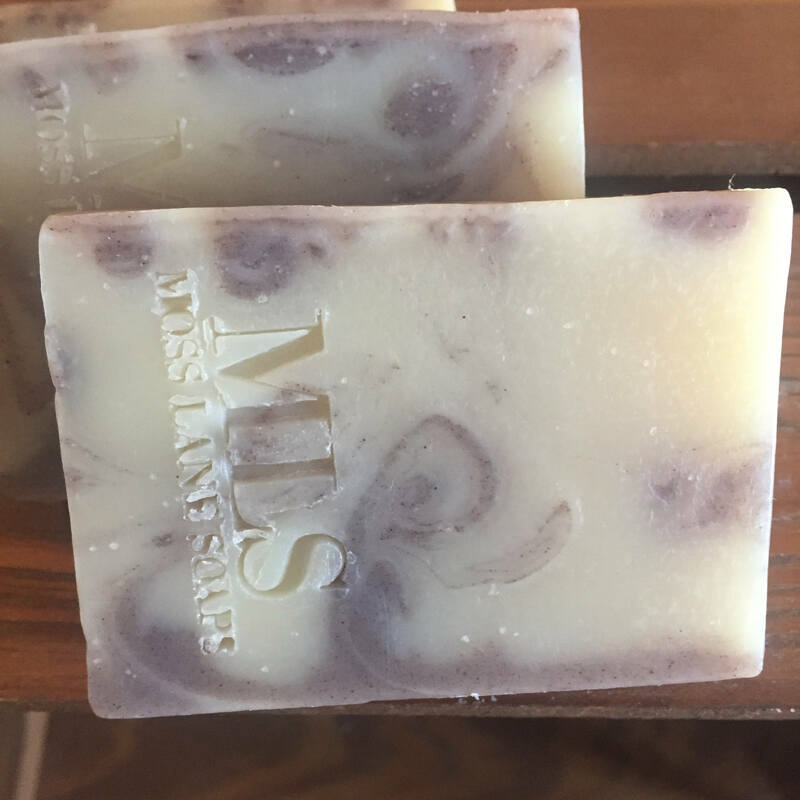 Skin-loving olive and castor oils combine with coconut and palm oils to produce a rich lather and a firm bar. 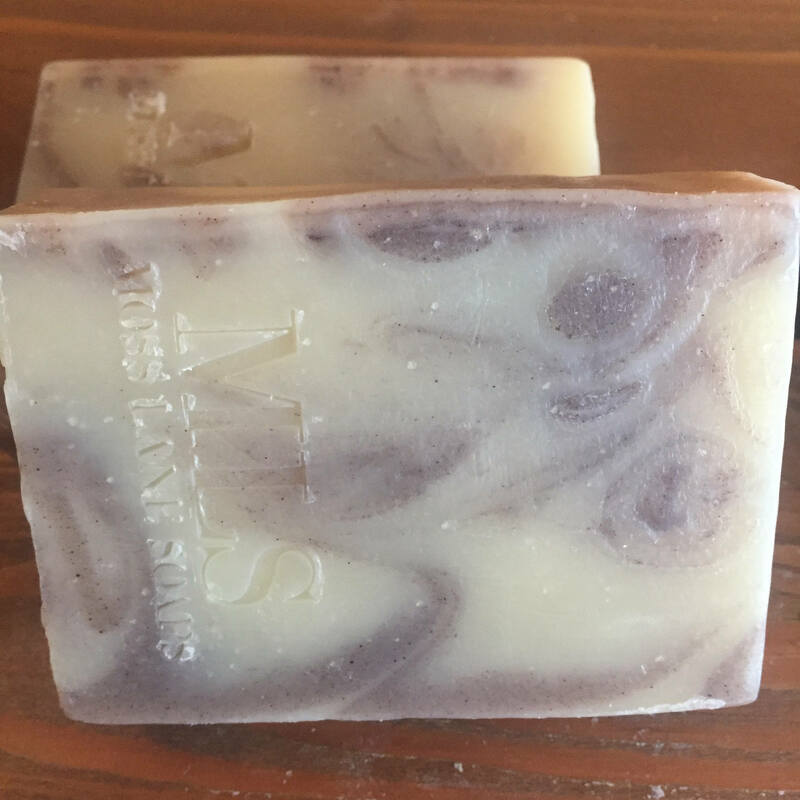 We then add a generous portion of raw shea butter to add to the richness of this fragrant soap. Concerning the fragrance: Some people love it; some people hate it. 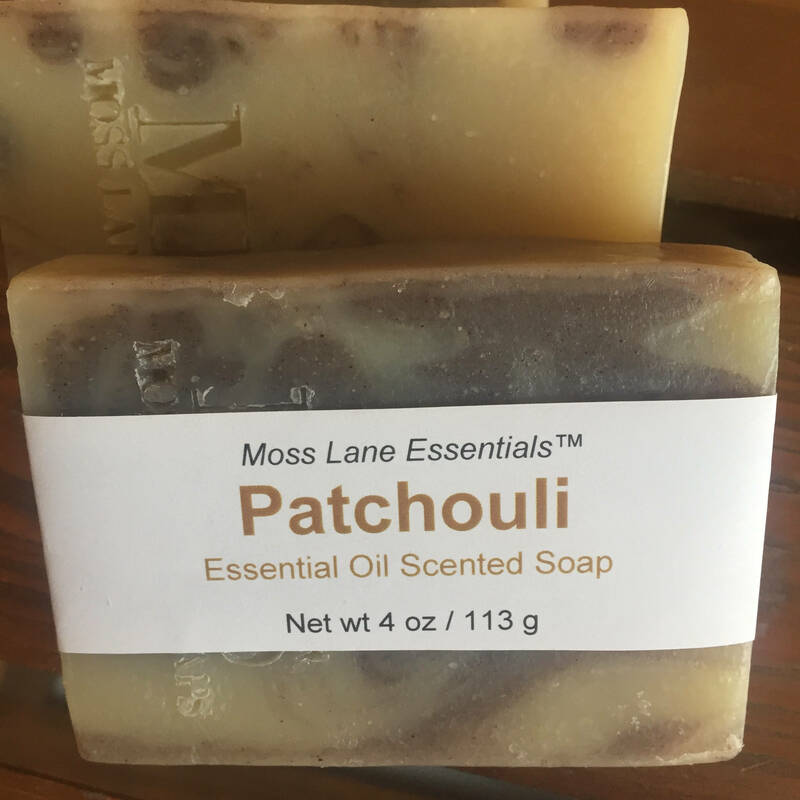 Either way, there’s no denying the uniquely deep and rich earthiness of the patchouli essential oil in this all natural soap in our Moss Lane Essentials™ line. A brown swirl created with black walnut hull powder adds each bar's earthy appeal. This listing is for a single bar weighing 4 oz (113 g). 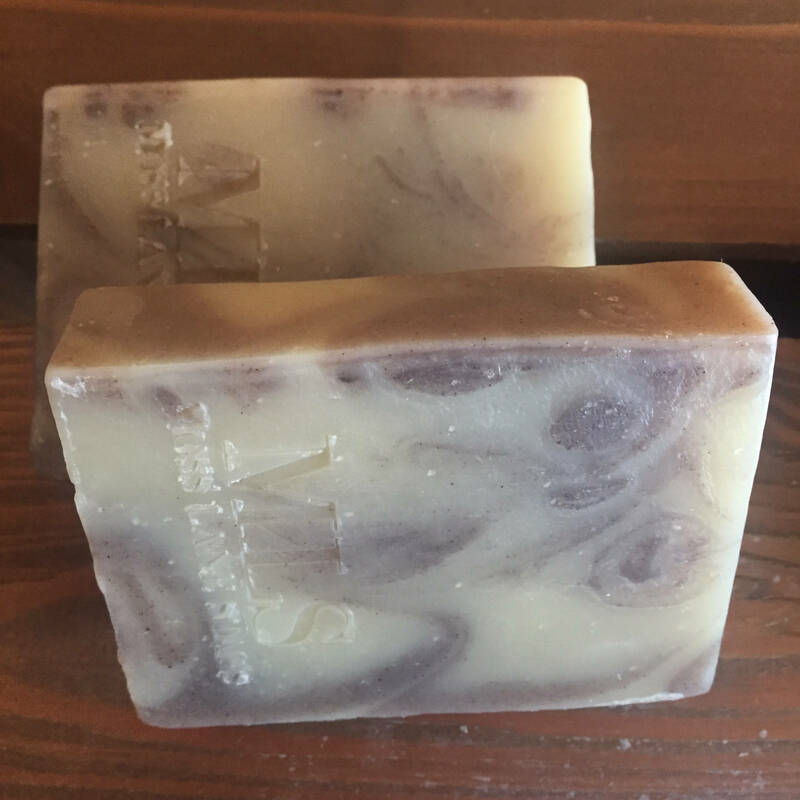 Our soaps are hand cut, so some variations in thickness are the norm. In order to give you the most for your money we do not trim off the corners of our soap. The swirl pattern in each bar is unique. 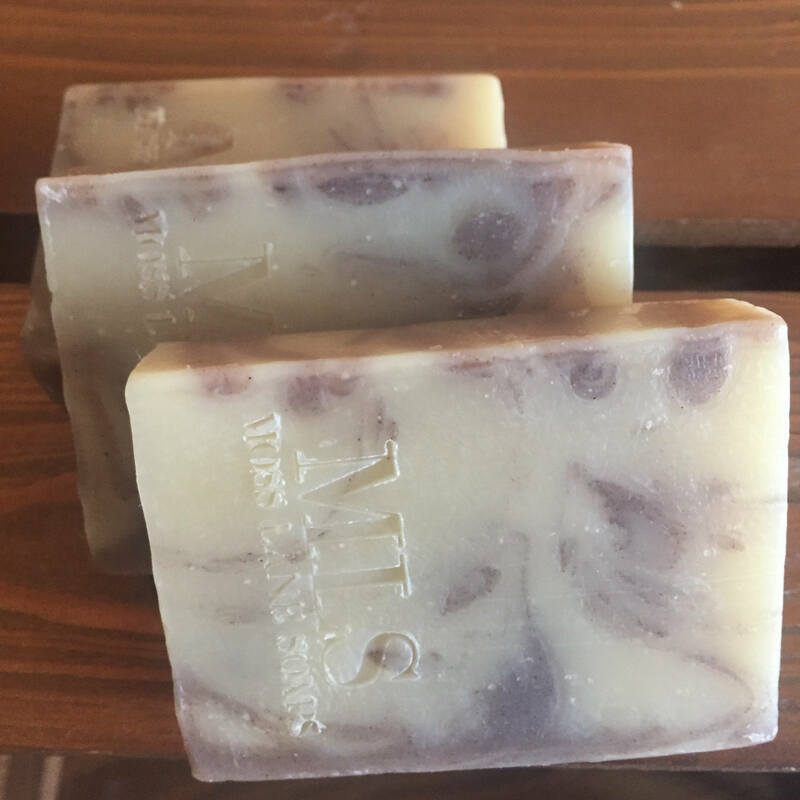 Ingredients: Distilled water, olive oil, coconut oil, palm oil, sodium hydroxide (lye)*, castor oil, raw shea butter, patchouli (Pogostemon cablin) essential oil, black walnut hull powder (color), dried calendula petals, rosemary oleoresin (antioxidant).